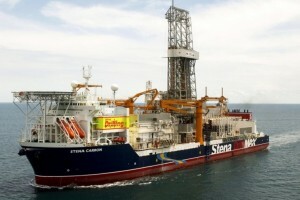 GEORGETOWN – ExxonMobil’s oil finding streaking offshore Guyana is continuing, with the company reporting yesterday that it has struck oil again. It is Exxon’s third such find in the Stabroek Block and the second this year, coming on the heels of oil discoveries in Liza in 2015 and Payara in January. This time, the positive results came from the Snoek well, as the international oil and gas giant targeted similar aged reservoirs that were proven successful its previous two discoveries. The Snoek well, located about five miles southeast of ExxonMobil’s Liza discovery, hit more than 82 feet (25 metres) of oil-bearing sandstone reservoirs, the company said in a statement. “The latest discovery at Snoek demonstrates the continued success we have achieved in this technically complex play, which is just part of the significant exploration province offshore Guyana,” said Steve Greenlee, president of ExxonMobil Exploration Company. ExxonMobil affiliate Esso Exploration and Production Guyana Ltd. commenced drilling of the Snoek well on February 22, 2017 and was safely drilled to 16,978 feet (5,175 metres) in 5,128 feet (1,563 metres) of water on March 18. “As we continue to evaluate the full potential of the broader Stabroek Block, we are also taking the necessary steps to ensure the safe, cost-efficient and responsible development of this world-class resource, which can provide long-term, sustainable benefits to the people of Guyana,” said Greenlee. The Stabroek Block is 6.6 million acres (26,800 square kilometers). Esso Exploration and Production Guyana Limited is the operator and holds 45 percent interest in the Stabroek Block. Hess Guyana Exploration Ltd. holds 30 percent interest and CNOOC Nexen Petroleum Guyana Limited holds 25 percent interest. Reacting to the latest discovery, the Guyana Government said it was satisfied with the steady and safe progress being made. “The news of another find offshore Guyana is a source of great pride and pleasure for all Guyanese,” it said.